My 3 year old has fallen in love with Sylvanian Families, just as I did when I was her age. First made in 1985, Sylvanian Families is an adorable range of distinctive animal characters set to turn #30yearsyoung today (20th March 2015). I love to bring crafts into our play and when I saw an egg box boat craft in the latest issue of prima makes I knew we should make it. It only took 10 minutes and kept my 3 year old occupied for an afternoon. We used the bottom of an egg box as a boat, added a knitting needle for a mast and a sail from pretty paper. 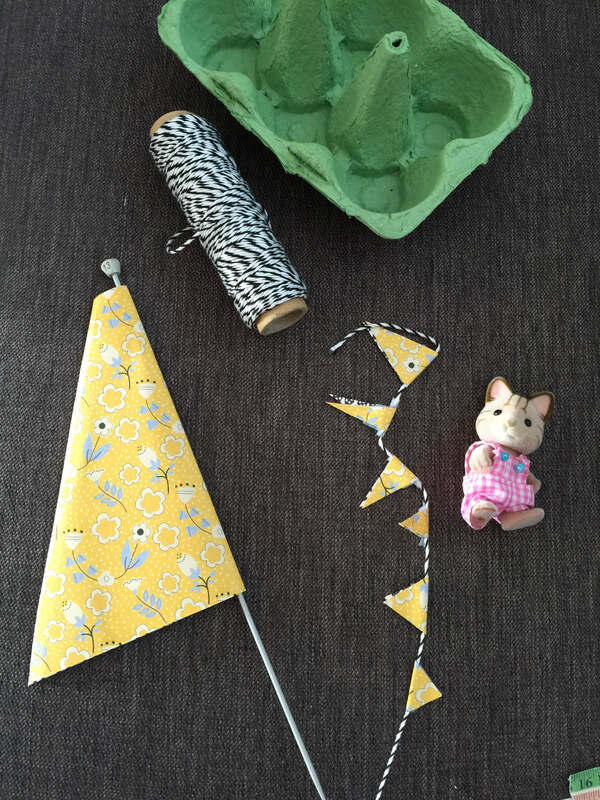 I added a piece of Bakers Twine and tiny paper flags, held in place with magic tape and a brass split pin. 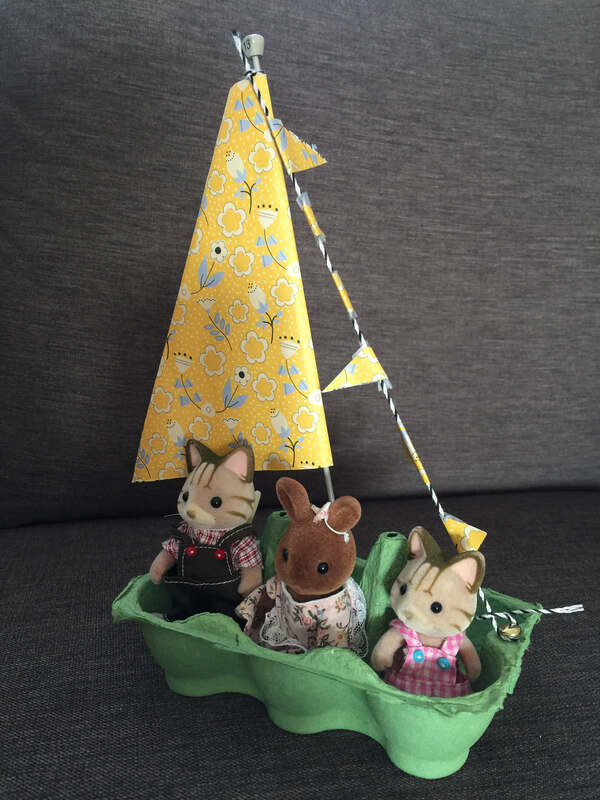 Our little boat holds up to 6 little people and is a really sweet little make, perfect for transporting her Sylvanian Families around. 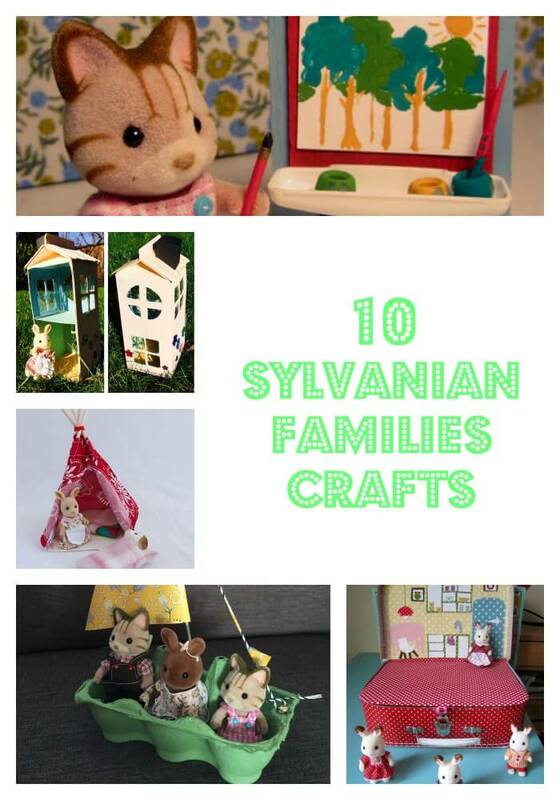 I love this great idea for organising your Sylvanian Families accessories – I really wish I had thought of this! These are so stinkin cute! That little teepee is adorable. I had no idea they were thirty years old! I remember my friends in elementary school sneaking these fuzzy little animals out to recess in their coat pockets. Thanks for sharing my easel DIY project, I love knowing that other people share my affinity for these little critters, too! This is the stuff of my childhood dreams. Might have to dig the old guys out!